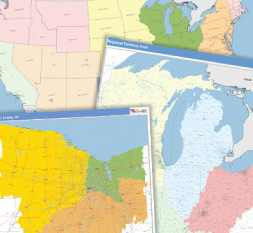 Each Sales Territory Wall Map selected by MapSales.com represents the finest Sales Territory Wall Map from our leading publishers. Every Sales Territory Wall Map is a beautiful display for your office, conference room or class room. A Sales Territory Wall Map is also perfect for your home. For 30 years, we have been creating sales territory wall maps for thousands of businesses, international and local, the largest & smallest. We create the maps you need, when you need them! Helping you Manage your Sales Territories! Web Applications make design & management easy! 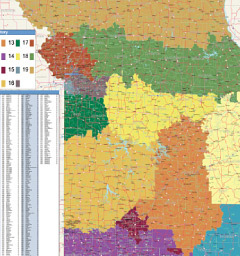 Every sales territory wall map we create is customized to your specifications. The maps are designed to your purpose, use & audience, & how they are being used. A professional process of creating territories by your criteria…in the way best for your organization. Basic needs to complex modeling and balancing. The sales territory design process reflects the business: its arrangement, history, culture, direction and industry. Some companies are established with 100 years of history, while others are relatively new. One business has a complex, well established, multilevel sales organization structure that undergoes annual review, while other businesses seem to redesign territories monthly. A complete selection of the most accurate, updated data, best for every system, application and budget. Geographies, business data, and more. 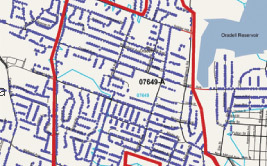 Contact us about Sales Territory Wall Maps Today!